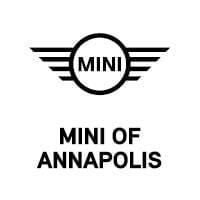 This 2019 MINI Countryman Cooper is proudly offered by BMW of Annapolis This MINI includes: POWER TAILGATE STORAGE PACKAGE SIGNATURE TRIM *Note - For third party subscriptions or services, please contact the dealer for more information. * Want more room? Want more style? This MINI Countryman is the vehicle for you. Save money at the pump with this fuel-sipping MINI Countryman. This is about the time when you're saying it is too good to be true, and let us be the one's to tell you, it is absolutely true. We look forward to seeing you soon! Please call us for more information. This outstanding example of a 2019 MINI Countryman Cooper is offered by BMW of Annapolis. This MINI includes: BLACK BONNET STRIPES POWER TAILGATE STORAGE PACKAGE SIGNATURE TRIM *Note - For third party subscriptions or services, please contact the dealer for more information. * This SUV gives you versatility, style and comfort all in one vehicle. No matter the weather conditions or terrain, this British Racing Green Metallic AWD MINI Countryman handles with an elegant confidence. Fine interior appointments complement this vehicle's unprecedented performance. This is the one. Just what you've been looking for. We look forward to seeing you soon! Please call us for more information. This outstanding example of a 2019 MINI Countryman Cooper is offered by BMW of Annapolis. Want more room? Want more style? This MINI Countryman is the vehicle for you. Start enjoying more time in your new ride and less time at the gas station with this 2019 MINI Countryman. The MINI Countryman Cooper will provide you with everything you have always wanted in a car -- Quality, Reliability, and Character. You can finally stop searching... You've found the one you've been looking for. We look forward to seeing you soon! Please call us for more information. This outstanding example of a 2019 MINI Countryman Cooper S is offered by BMW of Annapolis. This MINI includes: SIGNATURE TRIM *Note - For third party subscriptions or services, please contact the dealer for more information. * Want more room? Want more style? This MINI Countryman is the vehicle for you. All-wheel drive means peace of mind all the time. This Midnight Black Metallic AWD MINI enjoys a host offeatures, including exceptional acceleration and superior stability so you can drive with confidence. The look is unmistakably MINI, the smooth contours and cutting-edge technology of this MINI Countryman Cooper S will definitely turn heads. We look forward to seeing you soon! Please call us for more information. Contact BMW of Annapolis today for information on dozens of vehicles like this 2019 MINI Countryman Cooper S. This MINI includes: PREMIUM PACKAGE SIGNATURE TRIM *Note - For third party subscriptions or services, please contact the dealer for more information. * Want more room? Want more style? This MINI Countryman is the vehicle for you. Hit the gas pedal and put the engine power to all four wheels. With AWD, you'll have the greater performance right off the line, everytime you drive. The MINI Countryman Cooper S will provide you with everything you have always wanted in a car -- Quality, Reliability, and Character. We look forward to seeing you soon! Please call us for more information. BMW of Annapolis is excited to offer this 2019 MINI Countryman. This MINI includes: POWER TAILGATE SIRIUSXM SATELLITE RADIO STORAGE PACKAGE SIGNATURE TRIM TOUCHSCREEN NAVIGATION PACKAGE *Note - For third party subscriptions or services, please contact the dealer for more information. * Want more room? Want more style? This MINI Countryman is the vehicle for you. Everyone hates the gas pump. Skip a few gas stations with this super fuel efficient MINICountryman. Savor the satisfaction of safety in any condition with this AWD MINI Countryman. Superior acceleration, unmatched traction and stability as well as a luxurious interior round out the impressive features of this AWD MINI Countryman. We look forward to seeing you soon! Please call us for more information. Contact BMW of Annapolis today for information on dozens of vehicles like this 2019 MINI Countryman Cooper S. This MINI includes: PREMIUM PACKAGE SIGNATURE TRIM TOUCHSCREEN NAVIGATION PACKAGE *Note - For third party subscriptions or services, please contact the dealer for more information. * Want more room? Want more style? This MINI Countryman is the vehicle for you. Stylish and fuel efficient. It's the perfect vehicle for keeping your fuel costs down and your driving enjoying up. Look no further, you have found exactly what you've been looking for. We look forward to seeing you soon! Please call us for more information. This 2019 MINI Countryman Cooper S is offered to you for sale by BMW of Annapolis. This MINI includes: TOUCHSCREEN NAVIGATION PACKAGE YIN YANG EDITION Fog Lamps Keyless Start 6-Speed M/T HD Radio Mirror Memory Aluminum Wheels Seat Memory Hands-Free Liftgate M/T Leather Steering Wheel Daytime Running Lights Power Passenger Seat Power Driver Seat Heated Front Seat(s) Satellite Radio Power Door Locks Keyless Entry Passenger Adjustable Lumbar Premium Sound System Driver Adjustable Lumbar Remote Trunk Release TRANSMISSION: SPORT AUTOMATIC *Note - For third party subscriptions or services, please contact the dealer for more information. * Want more room? Want more style? This MINI Countryman is the vehicle for you. Take home this 2019 MINI Countryman and enjoy the safety and added performance of AWD. Just what you've been looking for. With quality in mind, this vehicle is the perfect addition to take home. We look forward to seeing you soon! Please call us for more information. Contact BMW of Annapolis today for information on dozens of vehicles like this 2019 MINI Countryman Cooper S. This MINI includes: ICONIC TRIM WHITE BONNET STRIPES *Note - For third party subscriptions or services, please contact the dealer for more information. * Want more room? Want more style? This MINI Countryman is the vehicle for you. Few vehicles can match the safety and comfort of this AWD MINI Countryman Cooper S. With enhanced performance, refined interior and exceptional fuel efficiency, this AWD MINI is in a class of its own. This is about the time when you're saying it is too good to be true, and let us be the one's to tell you, it is absolutely true. We look forward to seeing you soon! Please call us for more information. Contact BMW of Annapolis today for information on dozens of vehicles like this 2019 MINI Countryman Cooper S E. This MINI includes: ICONIC TRIM Fog Lamps Smart Device Integration HD Radio Mirror Memory Navigation System A/C Climate Control Seat Memory Hands-Free Liftgate Auto-Dimming Rearview Mirror Leather Steering Wheel Adaptive Cruise Control Power Passenger Seat Power Driver Seat Satellite Radio Passenger Adjustable Lumbar Bluetooth Connection Premium Sound System Power Liftgate Power Folding Mirrors Hard Disk Drive Media Storage Driver Adjustable Lumbar Remote Trunk Release MP3 Player UNIVERSAL GARAGE-DOOR OPENER Universal Garage Door Opener *Note - For third party subscriptions or services, please contact the dealer for more information. * Want more room? Want more style? This MINI Countryman is the vehicle for you. This AWD-equipped vehicle handles well in any weather condition or terrain. You'll benefit from superb handling, improved steering and excellent acceleration. Where do you need to go today? Just punch it into the MINI Countryman on-board navigation system and hit the road. We look forward to seeing you soon! Please call us for more information.